The historic Peoples Bank Theatre is excited to announce its Grand Opening weekend lineup for January 8 and 9. The two-day celebration kicks off with the New York-based acrobats of Cirque-tacular and culminates with a special Saturday evening acoustic concert by Grammy-winning country music star Travis Tritt. Tickets go on sale to the general public on October 15. The weekend’s opening by Cirque-tacular is a nod to the historic theatre’s vaudeville roots. Over the last eight years, the Cirque-tacular has given thousands of aerial and ground acrobatic performances throughout the world. Repeatedly praised by critics, for their “mind-boggling artistry and athleticism” and their “great feats of daring at the extreme edges of human capability”, their acts have reached millions live and millions more through appearances on most major television networks. Cirque-tacular’s performers have been hailed as “mesmerizing,” “incredible,” and “truly impressive,” as the cutting edge leaders of the modern revival of American vaudeville entertainment. 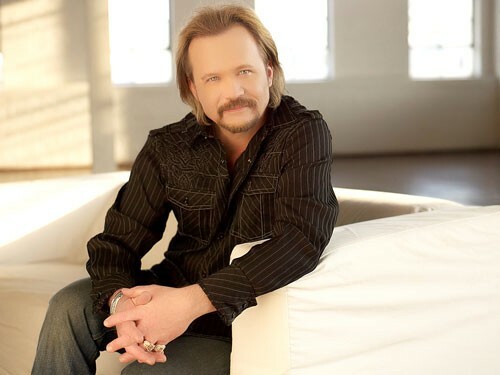 As the opening weekend’s headlining artist, Travis Tritt will take the stage where previous country music legends—like Tex Ritter, Kitty Wells, Ernest Tubb, and Randy Travis—once stepped up to the microphone before a Marietta audience. Travis Tritt’s appearance at Peoples Bank Theatre will be a rare opportunity featuring the multi-platinum artist in an intimate solo-acoustic setting where his powerful voice and his guitar are the subject of the spotlight. The audience will experience an up-close and personal event punctuated by personal stories and anecdotes about his life and musical influences. Performing some of his biggest hits, including “T-R-O-U-B-L-E,” “It’s A Great Day to Be Alive,” and “Best of Intentions,” the Grand Ole Opry member will bring his award-winning songs to life and leave the audience with a truly memorable experience. As the restoration of the theatre nears completion over the coming weeks, Peoples Bank Theatre will announce more of events currently in the works for 2016, including concerts, dance performances, musicals, and the annual Colony Film Festival. Beginning October 15, tickets may be ordered online at peoplesbanktheatre.com.